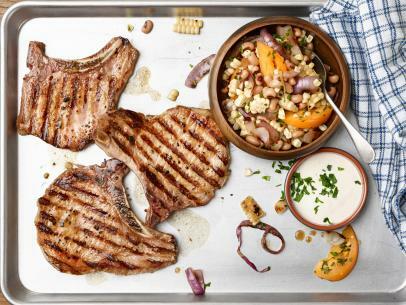 Season the chops liberally with salt and pepper. Heat the extra-virgin olive oil in a skillet over medium-high heat. When the oil smokes, add the chops and cook, turning once, until caramelized and the meat is just turning firm, about 10 to 12 minutes. Remove to a platter and cover with foil, reserve. 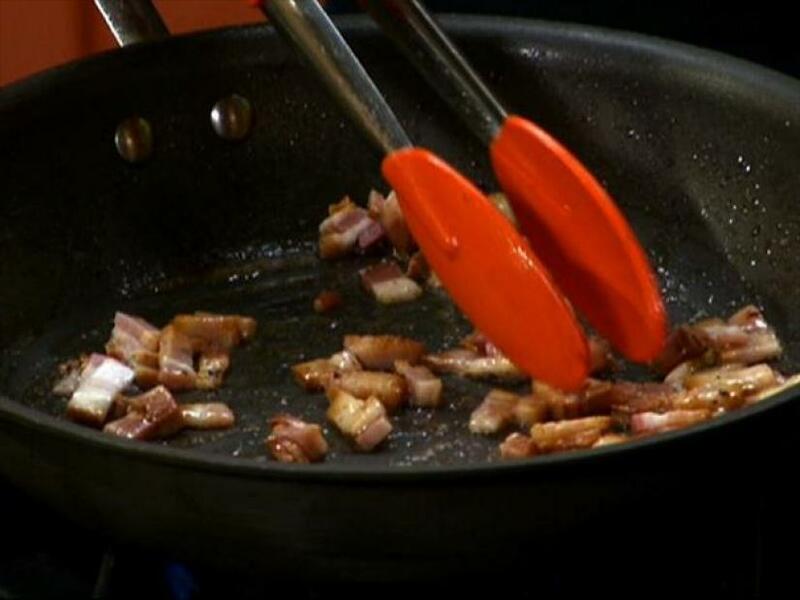 Add a drizzle more oil to the pan, add bacon and brown for 2 to 3 minutes. Stir in the onions and saute over medium heat with the bacon until soft, 6 to 7 minutes. Sprinkle in flour, stir for 1 minute, then add the beer. Cook until reduced by half, 1 to 2 minutes more, then whisk in the stock. Remove from the heat and season with pepper. 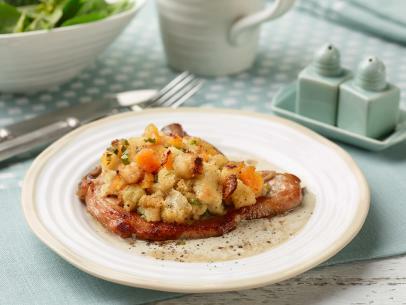 Pour the gravy over the chops, sprinkle with parsley and serve immediately.